Some of the best deals on health and beauty products come from shopping at Walgreens. 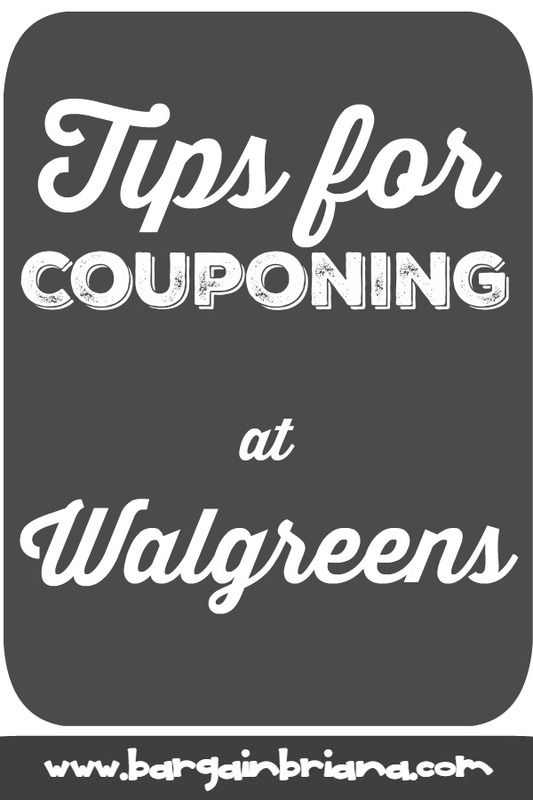 These Tips For Couponing At Walgreens are going to help you to save money easily at your local drug store. Not only is Walgreens a great store with great prices, their coupon policy and in store rewards programs make them a favorite of frugal individuals everywhere. Stack in store coupons with manufacturer coupons: Walgreens puts out coupons in their weekly flyer as well as in a monthly booklet available in store. While most of these are manufacturer coupons, they do sprinkle several store coupons in the mix. When you have a manufacturer and store coupon for the same product, Walgreens allows you to stack those coupons on one single product for twice the savings. Take advantage of Register Rewards: This program is one of the best ways to save money and get free products at Walgreens. Each week their sales will include a few items that earn Register Rewards back after purchase. Those printed catalinas can then be used to help pay for a future purchase. They cannot be used to pay for the same product however, they can be used on other items. Buy items on sale, use a coupon on them, and then use the Register Rewards they print out to pay for other products you need. Build up Balance Reward points: Make sure to sign up for the Balance Rewards program to start earning points. Most items in store will earn you a few points per purchase. For 5,000 points you earn $5. As you increase in points, they increase in value to you. This is a great way to save and pay for items later down the line, or to redeem near the holidays to buy toys, as seen on TV products or gift items in store. Shopping sale prices on things like makeup, body wash and similar items at Walgreens will easily save you tons of money. Not only do they accept manufacturer coupons on eligible products, they reward you for spending money in their store by giving you register rewards and balance rewards on so many purchases. Walgreens is a great place to practice your couponing skills! Find all the Weekly Walgreens Coupon Matchups here.